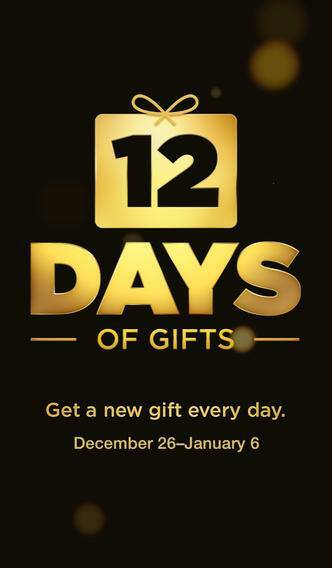 The 12 Day of Gifts app is now available to download from iTunes. Here is the link: https://itunes.apple.com/us/app/id777716569 or you can search the iTunes store on your Apple device for the 12 Days of Gifts. From December 26th through January 6th, the free app allows you to download free music, TV episodes, movies, apps or books from some of the biggest stars on iTunes. Each free download is available for 24 hours only. Get each gift before midnight PST! Please note, the app is only compatible with iOS7 and onwards.